The United Nations Assistance Mission in Afghanistan (UNAMA) has raised concerns over increase in civilian casualties due to American air strikes in the war-ravaged country as compared to the previous year. UNAMA has recorded a 43 percent increase in civilian casualties from aerial operations during the first six months of 2017 compared to the same period in 2016, documenting 232 civilian casualties (95 deaths and 137 injured), with substantial increases in women and child deaths. "I am deeply saddened to hear that women and children have once again suffered so terribly from the conflict," said Tadamichi Yamamoto, the Secretary-General's Special Representative for Afghanistan and head of UNAMA. "This is unacceptable. All parties must live up to their obligations to take all feasible measures to protect civilians." 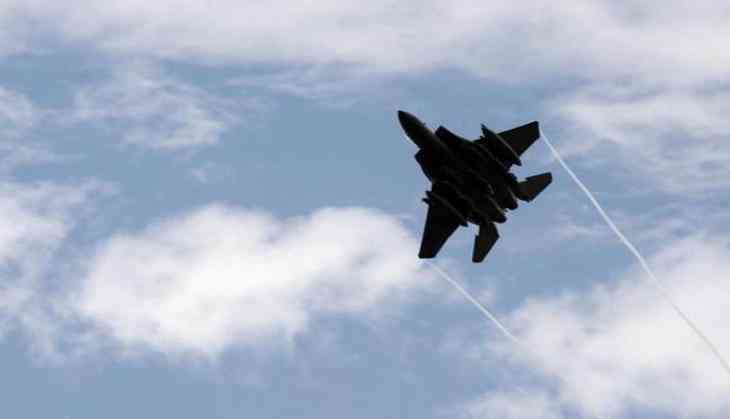 Recently,as many as 13 civilians were killed on Wednesday in American airstrikes near near Dasht e Barai, in Logar Province in southeastern Afghanistan, the second deadly allied strike in three days to add to the country's mounting civilian death toll.While the United States Forces in Afghanistan stated that they have opened an investigation into it. UNAMA has urged authorities to ensure independent, impartial and prompt investigations of both incidents at the earliest opportunity, and for appropriate steps to be taken to ensure accountability, compensation for victims and the prevention of such incidents in the future. "The UN Assistance Mission in Afghanistan (UNAMA) is gravely concerned by the killing of at least 28 civilians and injury of 16 others - all women and children - during air strikes in Herat and Logar provinces this week," Tolo News quoted the organization's statement. According to UNAMA's initial enquiries, airstrikes reportedly targeting Anti-Government Elements in the Shindand district of Herat province on 28 August killed at least 15 civilians and injured four others after munitions hit at least two civilian homes, the statement said. On 30 August, airstrikes conducted in the Pul-e-Alam district of Logar province killed at least 13 civilians and injured 12 others, UNAMA's preliminary findings indicate, it added.